We kicked off the recording process with drums. 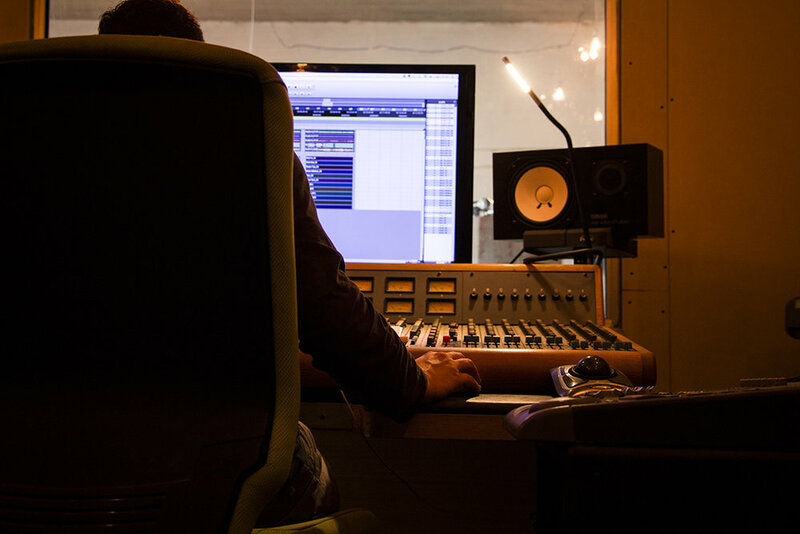 Prior to the actual recording, Kenny our producer spent a whole day setting up the live room, changing drum skins and positioning microphones. Late into the night, I then assembled the drum kit, and had a "brief" jam. 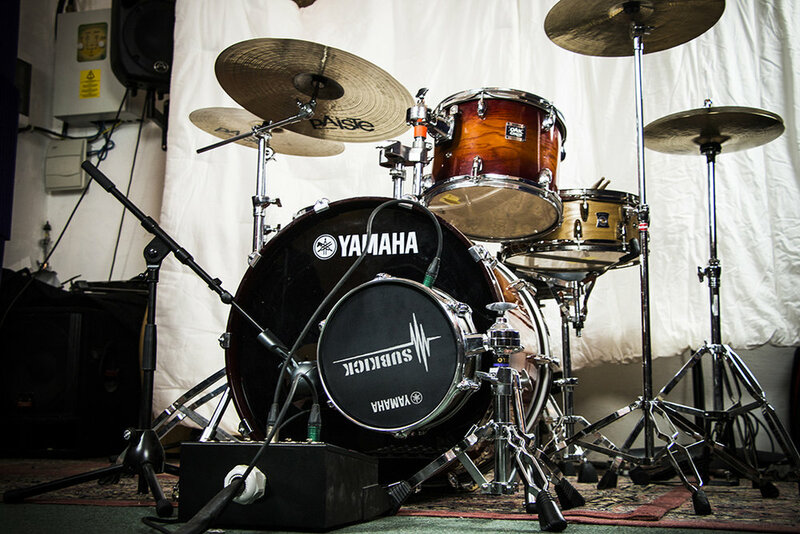 The drum kit comprises of a beautiful Yamaha Oak Custom kit with an Amber Sunburst finish, including a 22" Bass drum, 16" Floor Tom and a 12" Tom. Apart from having a killer look, the sound is tight and melodic. The snare drum is a 14"x5.5" Yamaha Oak snare with a Natural finish and was kindly lent to me by Joseph Bezzina. 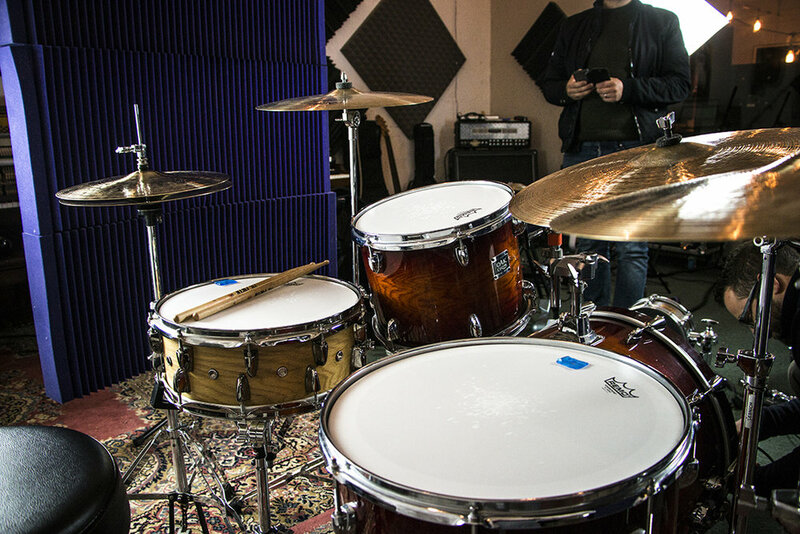 All drum heads were changed to Remo Powerstroke skins specifically for this recording session. 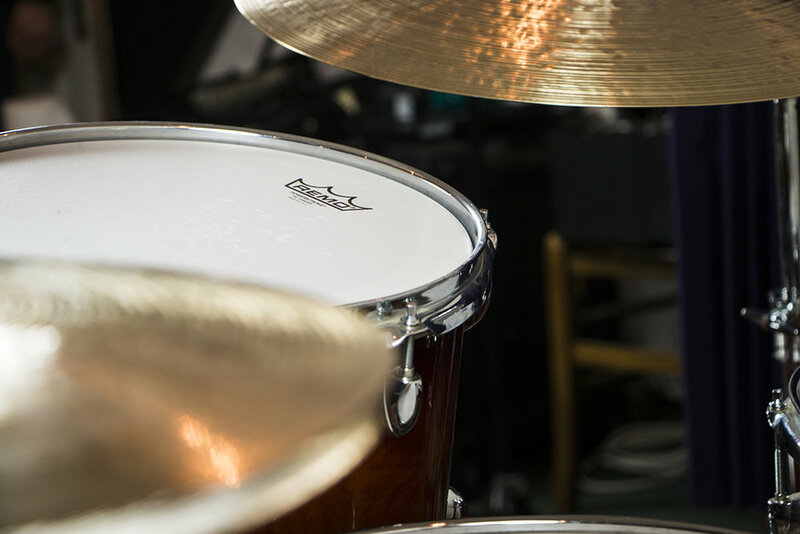 Finally, the kit includes a set of Paiste cymbals which we really fell in love with. They have just the right amount of shimmer while still being dry enough for the style. These are a set of 14" Hi-Hats, 16" Thin Crash, 18" Crash, 20" Ride from the Paiste Twenty Series and a 16" China from the 2002 range. I really liked this particular combination of drums, as even in the room, they have a great overall balance with a deep and decisive kick, precise and well-rounded snare sound, and beautiful shimmery cymbals. Right off the bat, we knew that the drums were going to sound GREAT. See for yourself! Debut Album: Recording to begin this week.